shortbread crust is just what you need to feed your sweet tooth! So a few days ago I told you that not everything for Valentine's Day has to be chocolate, and here I am today sharing something chocolate. Do you see the irony here? Don't get me wrong I love chocolate, I mean I looooove chocolate, but I just wanted to make the point that there are other delicious sweet treats besides our beloved chocolate. And I shared Triple Ginger Cookies. Which are fabulous by the way, and good for you to boot. 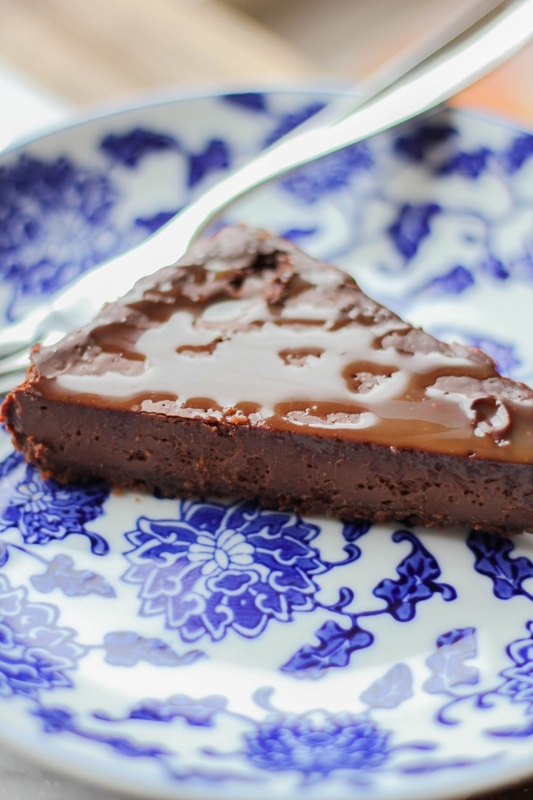 But here I am today sharing this luxurious Salted Chocolate Caramel Tart. And I'm not sure I can get away with saying this is good for you. Other than it does have dark chocolate which has some health benefits. That's good enough for me! I also want to point out the fact that I am not the perfect baker. Clearly. You see those little dimples on the top of my tart? Yeah, those are bubbles. The tart bubbled up a little bit in the oven which left those marks. I should have taken my own advice and made sure that I tapped the pan on the counter before putting it in the oven, which would have gotten rid of those pesky bubbles. But you know what? Your dishes don't have to look perfect to be delicious. Case in point with this tart here. It's so rich and decadent, you won't care about any flaws to its appearance. 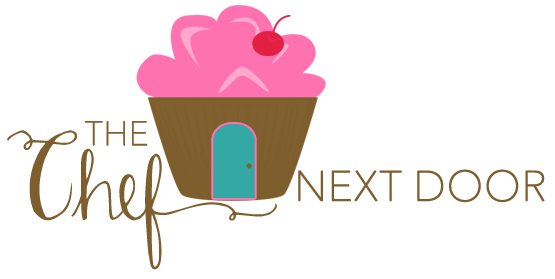 You will just eat it and love it, and so will your family and friends. The crust of this tart is made with Walkers Shortbread Chocolate Scottie Dogs. I am a HUGE fan of Walkers Shortbread and these little chocolate beauties make the perfectly rich chocolate crust. I kind of have an obsession with these shortbreads, from the Original variety, to chocolate chip, to chocolate and toffee, they are all so delicious. They make several gluten free varieties too! 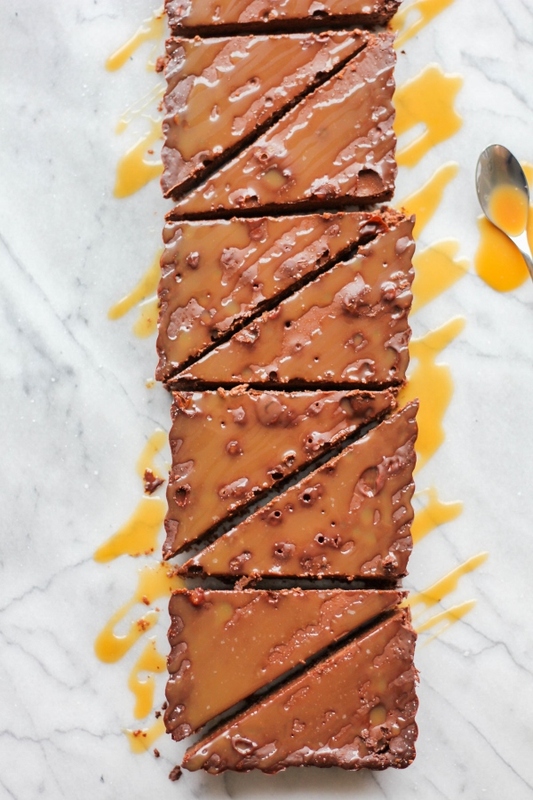 Whether you're looking for something luxurious to make for Valentine's Day or a special occasion, or you just need to feed your sweet tooth, this Salted Chocolate Caramel Tart is just what you need! Preheat the oven to 350 degrees. In the bowl of a food processor, add the shortbread cookies and process until they are fine crumbs. With the machine on low, add the melted butter in a steady stream. Press the mixture into the bottom of a rectangular tart pan. Bake for 10 minutes, then remove and set aside to cool slightly. To make the filling, heat the cream and milk in a saucepan over medium just until it simmers. Remove the pan from the heat and add the chopped chocolate. Stir until melted and smooth. Add the sugar and salt and whisk until combined. Slowly add the eggs to the chocolate mixture, whisking until completely combined. Pour the filling into the cooled tart shell and bake for 20 minutes, or until the filling is set. Set on a wire rack to cool completely. 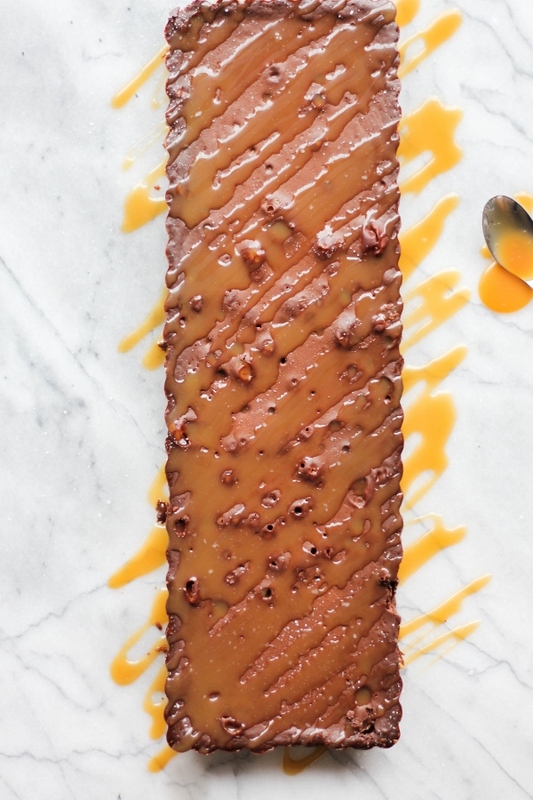 Once cool, drizzle the tart with caramel syrup and sprinkle with the flaked sea salt. Cut and serve. 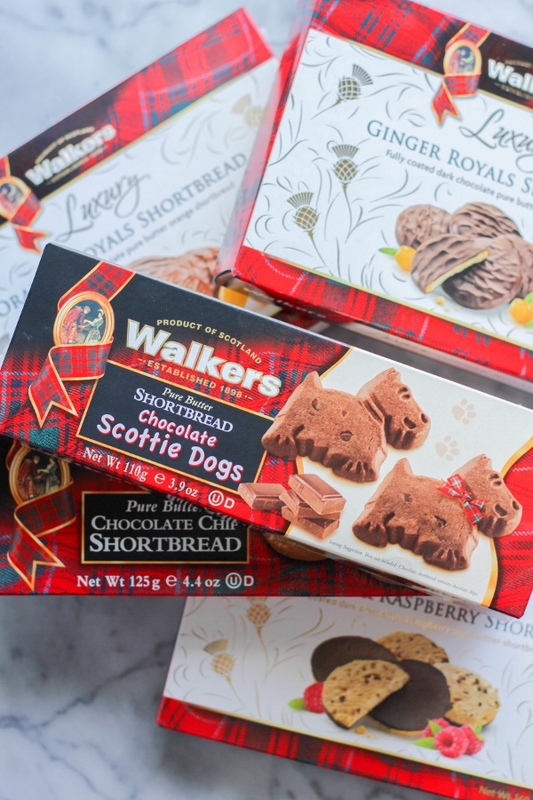 As a member of the Walkers Shortbread Society, I received free products to create a delicious recipe for this post. No additional compensation was received. All opinions, as always, are my own.